Samsung Galaxy J1 Mini is the mini variant of Galaxy J1 and it is now listed on the official site of Samsung in Philippines. The company is yet to reveal about the price and availability of the company. 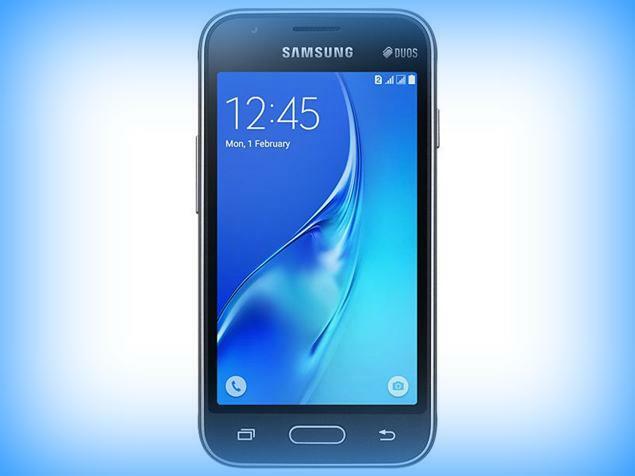 Manila: Samsung Galaxy J1 Mini comes with 4 inch display with 480 x 800 pixel resolution. It weighs 145 grams. The handset is powered by quad core processor whose clock speed is 1.2 GHz. The processor is coupled with 768 MB RAM and the internal storage provided is 16 GB. There is facility to expand memory up to 128 GB via micro SD. It has 5 megapixel camera at rear and there is also 0.3 megapixel camera at rear. It comes out of the box with Android operating system. Connectivity features of the device include WiFi, GPS, Bluetooth and 3G. This also features 3.5 mm headphones, FM radio and dual SIM. There are compass, gyroscope and accelerometer sensors. Battery under the hood is 1500 mAh capacity. The 1500 mAh battery of Samsung j1 mini is claimed to deliver eight hours of talk time and seven hours playback time. It will be made available in black and gold color options. Other device in Samsung J series are the Galaxy J1 4G, J1 Ace and so on.